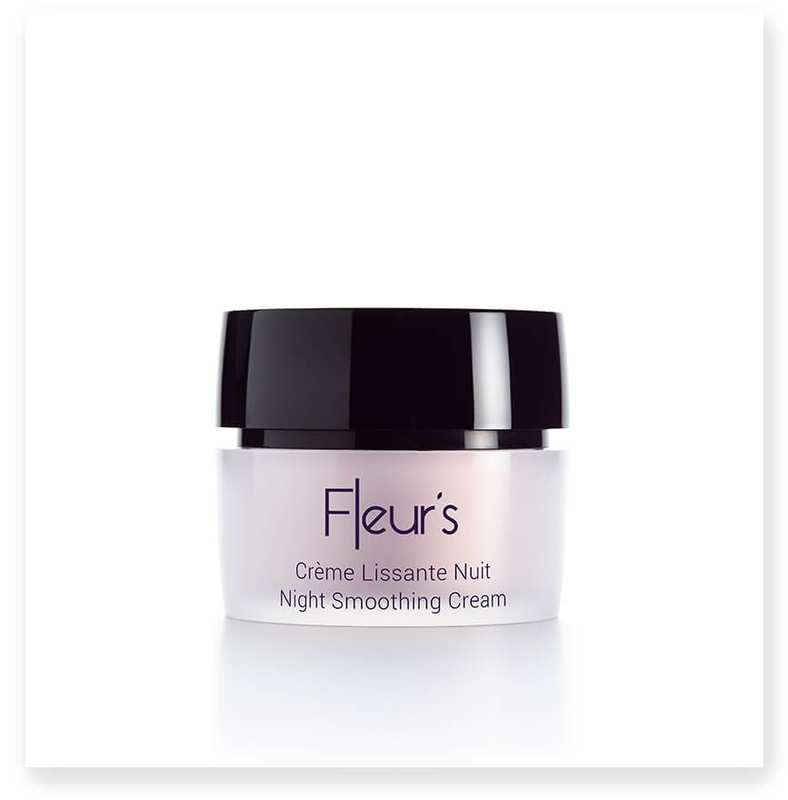 Fleur's Night Smoothing Cream plumps and smooths skin thanks to smoothing floral ingredients and encapsulated hyaluronic acid. It is formulated with Fleur’s Smoothing Floral Bouquet, a powerful floral trinity that works on the skin’s surface to fill lines and wrinkles and firm the skin. Complementary active ingredient encapsulated hyaluronic acid works deep within the skin to restore volume to hollow areas for a smoother, more youthful appearance. Night Smoothing Cream has a rich, balm-like texture and leaves a cashmere-soft finish. It has a delicate rose scent with energizing citrus and jasmine notes that linger subtly on the skin. Smoothing Floral Bouquet: a synergetic blend of highly effective floral extracts for maximum comfort and optimal youth effects. Water Clover - firming properties. • Encapsulated Hyaluronic Acid - high molecular-weight hyaluronic acid encapsulated in spherical particles for gradual, extended release. Penetrates to sub-layers of skin and plumps on contact with water, smoothing lines and wrinkles and filling hollow areas from within.